Meal kit delivery boxes simplify your dinner routine by bringing fresh, prepped ingredients to your doorstep. Ditch your shopping lists! 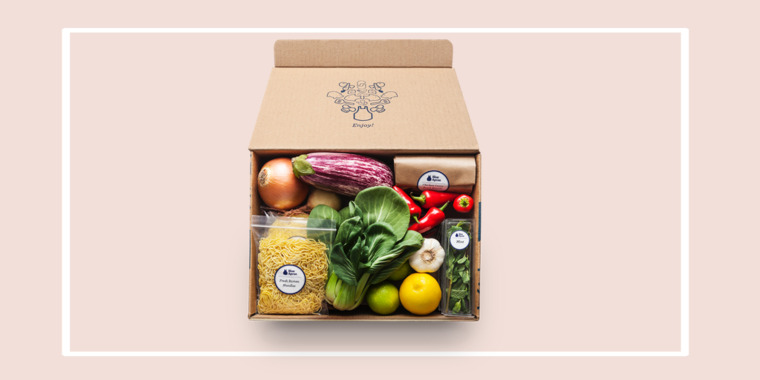 Blue Apron is offering $40 off your first meal kit delivery box with any plan. The discount will apply to all meal plans — for either two or four people and up to four recipes per week. Boxes usually cost between $52 and $144, but TODAY fans can get one for as low as $12, no code needed. You can choose from a long menu ranging from Calabrian shrimp stew to wonton noodles, pick your delivery date and all the ingredients will arrive at your door, ready to be cooked. Most of Blue Apron's ingredients are fresh and sustainably sourced. The meat is raised without added hormones, and produce comes from farms that minimize the use of fertilizers and pesticides. This service is great for busy parents without time for grocery shopping or anyone who struggles with meal prep every week. And, if it doesn't work out, members can cancel at any time.